Flatt Lonesome has signed with Rounder Records. Since the band’s 2013 debut, Flatt Lonesome — Kelsi Robertson Harrigill (mandolin/vocals), Buddy Robertson (guitar/vocals), Charli Robertson (fiddle/vocals), Paul Harrigill (banjo), Dominic Illingworth (bass), and Michael Stockton (dobro) — has amassed an impressive array of honors from the International Bluegrass Music Association, Society for the Preservation of Bluegrass Music in America, and the Dove Awards. 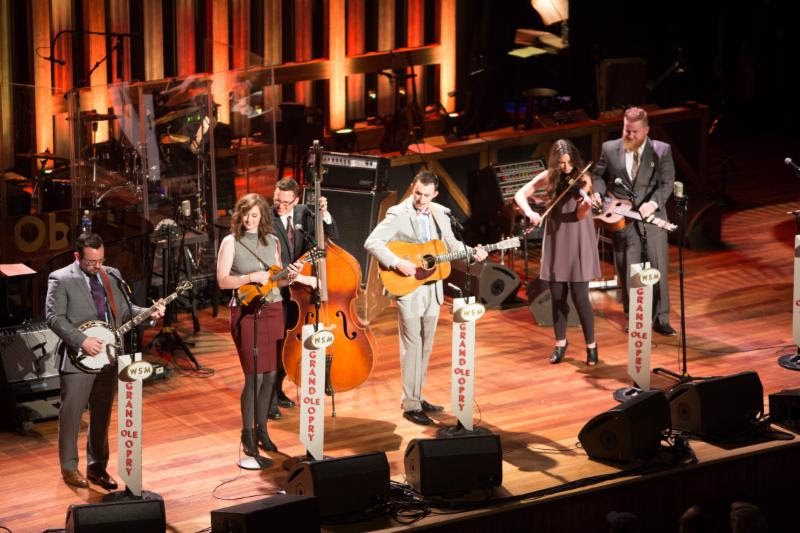 Flatt Lonesome’s captivating live show has made them a favorite on the festival circuit and at the Grand Ole Opry, where they’ve performed more than two dozen times since their Opry debut in 2015. The band plans to go into the studio later this year to record a new album for release in 2019.